TFL Season 12 is underway! Registration ends tomorrow at 6pm! 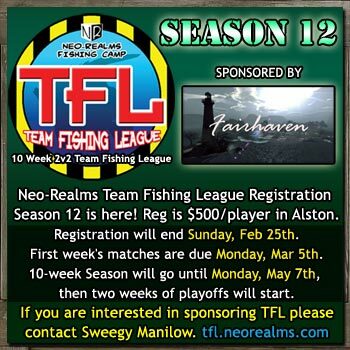 Registration for TFL Season 12 sponsored by Fairhaven is underway! TFL Registration is now open in Alston! Registration is $500L per person and will end Sunday, Feb 25th. Feel free to take a copy of the TFL info board next to the registration vendor, it will update with TFL scores and news weekly! And the participation award goes to The Blues Fishers for this season! Thanks for playing and see you all next season! 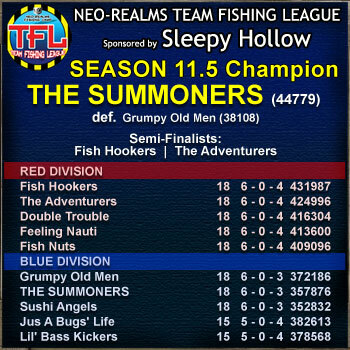 Season 11.5 Champions are THE SUMMONERS! 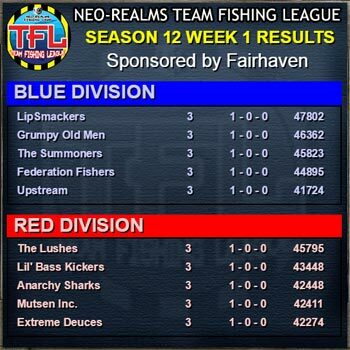 Season 11.5 is over and THE SUMMONERS are the mini-league champions! Thanks to all teams that participated this mini-season.